Add stability to your step while staying active. 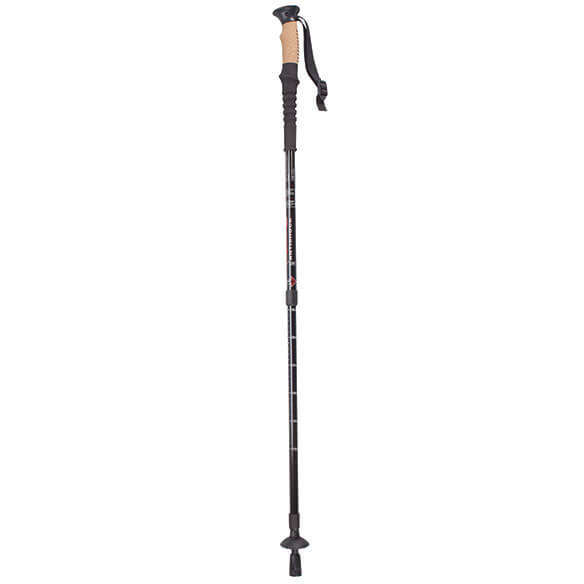 Walking poles feature natural cork handles with ergonomic grips and wrist straps for comfort on the go. 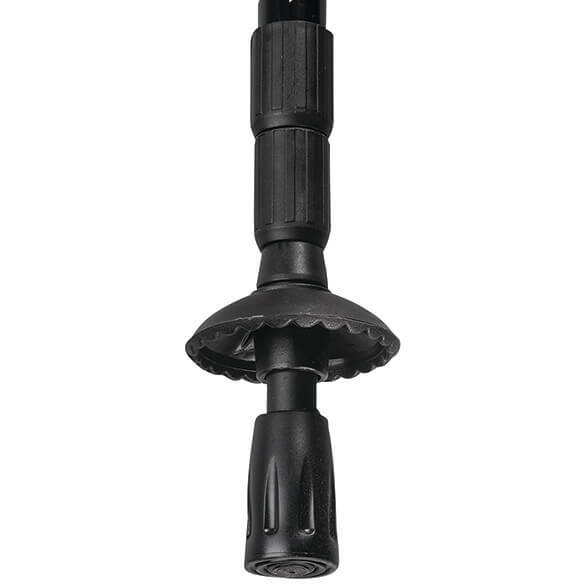 Telescoping design adjusts from 32"–52" to fit users of any height Included optional rubber tip is ideal for snow, mud, sand and other uneven surfaces. Hiking poles add stability to your walking routine. Molded, non-slip grips with wrist straps. Telescoping design for easy transport and storage. A fun, affordable way to stay healthy. 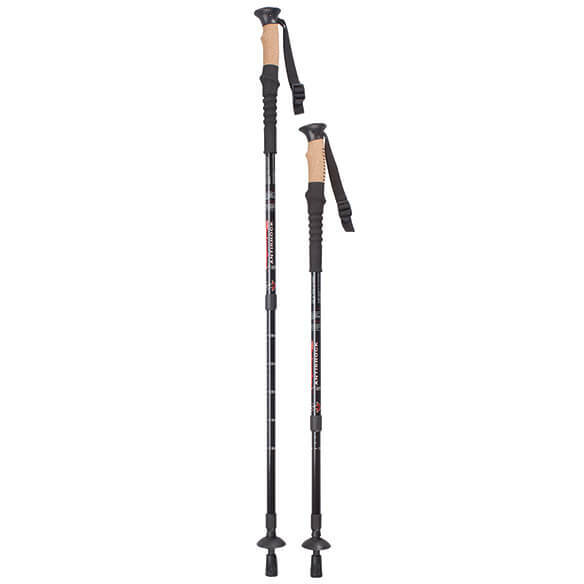 Set of 2 trekking poles is a great value. telescoping pole doesn't hold its position. have not used them yet, telescoping pole does not hold it's position, not as sturdy as I had hoped. Need more stability to continuing walking for exercise. I have MS and I am hoping this will help with my balance and self-confidence in walking, instead of leaning on a walker. A friend has them and really likes them. I have back problems and hope they will help me when I walk further than a few steps. 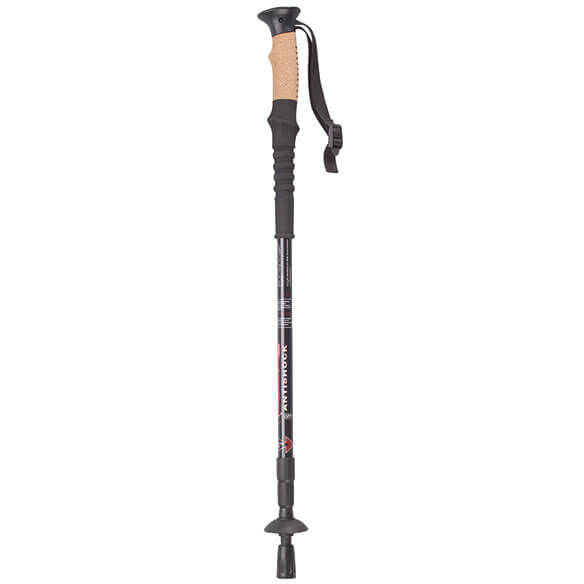 Going on a trip soon and will be needing trekking poles for stabilization. This products are affordable and look sturdy. We have a vacation home in the mountains and see these poles as a safety item. Hoping for some stability support where I can't use my rollator. To help with balance and take weight and impact off of my wrist and arms. Also eases back pain from to much abdominal weight. Can’t lose the weight if I can’t walk. I need to help me with my mobility. I do a lot of walking now. This product would help me balance w my walking,have ben looking for it and glad I found it. I need to be able to walk up a steep road in the winter. I need to strength my legs b walking more. Our doctors say that we should try to walk more. My husband has Parkinson's and the poles should help him to straighten up when he walks. I hope that I will feel more balanced when I walk with them. Because my Sister who has a balance problem would benefit from these. What is the length adjustment/telescoping mechanism, and how sturdy/reliable is it? I wouldn't plan to collapse them often, and wouldn't want them to collapse without warning. BEST ANSWER: Thank you for your question. It adjusts from 32"–52" to fit users. IT should not collapse until manually done. We hope this information will be of help to you. So how does it lock? There appear to be two places where units telescope. Is it a twist lock? I suppose I'll find out, as I went ahead and ordered them. what is the circumference of the cork handle? BEST ANSWER: Thank you for your question. The circumference is 4" on the handle and 2.5" on the pole. We hope this information will be of help to you. 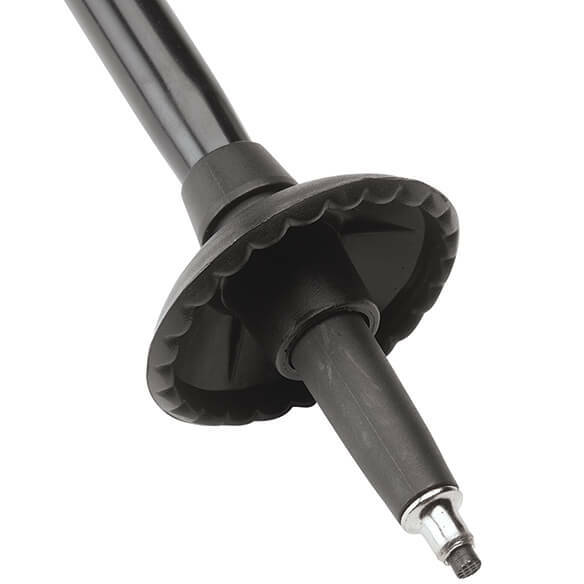 we have received the poles and there are no directions for which tip to use. Can you please explain the tips and their uses? BEST ANSWER: Thank you for your question. There is a tip for maneuvering in snow or mud, plus comfy natural cork handle with non-slip ergonomic grip. We hope this information will be of help to you. Does it have antishock as part of the construction? BEST ANSWER: Thank you for your question. Yes it does include that and can be removed if you do not want to use it. We hope this information will be of help to you. Is there a storage bag included? BEST ANSWER: Thank you for your question. No it does not include a carry pouch. We hope this information will be of help to you. is this able to fit into a suitcase? BEST ANSWER: Thank you for your question. The smallest measurement is 32". We hope this information will be of help to you. What is the weight of the pair? I have them, like them, but want to compare before getting a second pair. BEST ANSWER: Thank you for your question. Each one weighs .75 lbs. We hope this information will be of help to you.